(ie we produce results different from those envisaged: flop). We must bear in mind that non-disruptive innovation (linear or incremental innovation) has its own raison d’etre. In particular for the current large players of the Market, which are not able to develop disruptive innovation. 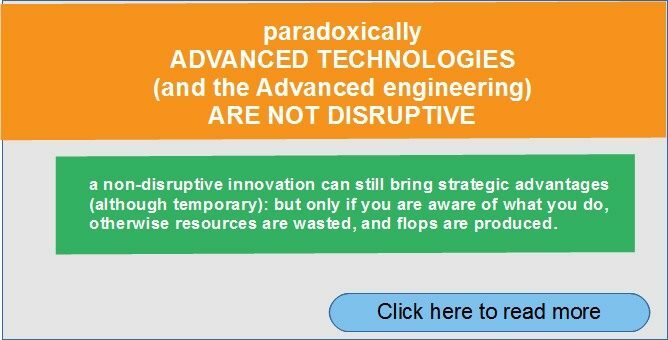 That is, a non-disruptive innovation can still bring strategic advantages (although temporary): but only if you are aware of what you do, otherwise resources are wasted, and flops are produced. 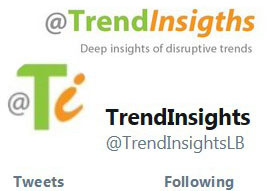 ● Consumers can no longer afford to spend for what they are not strictly useful (while today they are taken by the super-Marketing to buy non-useful products, by the Image-Value – and Advance technologies are indeed an instrument of this Marketing). ● Consumers need tools that allow them to develop new “Lifestyles” (ie new practices). 2) the current “low-tech” are more than enough to create tools able to develop innovative practices that can significantly improve the quality of life of people (at affordable costs).